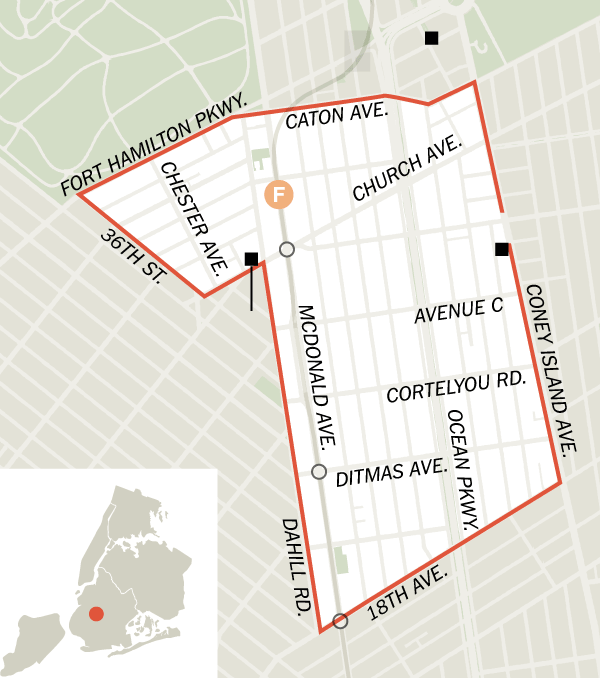 Kensington is bordered by Windsor Terrace to the north, Ditmas Park to the east, Midwood or Ocean Parkway to the South, and Borough Park to the west. Ocean Parkway, which runs from Prospect Park to Coney Island is the main artery of the neighborhood, and the main commercial strips are on Church and Ditmas Avenues. Kensington has a mix of pre-war and postwar buildings on Ocean Parkway, and has many styles of 1,2, and 3 family houses on the side streets. 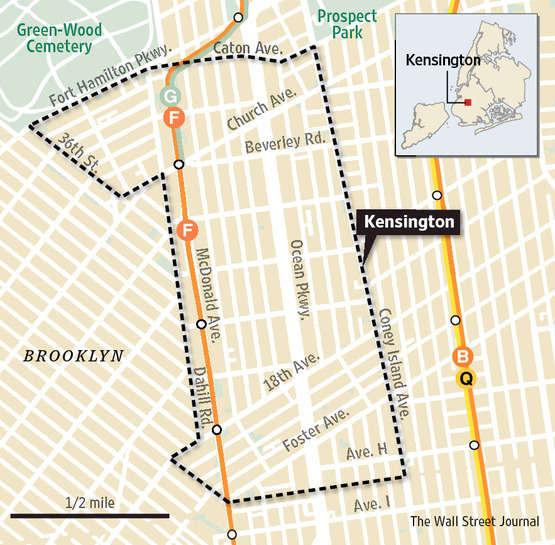 Kensington shares the F/G Subway station with Windsor Terrace at Ft. Hamilton Parkway, and the Church Avenue F/G, Ditmas and 18th Avenue F stops as well. Welcome new bars Hinterlands, La Loba Cafe, and Church Bar join standout dive bars Shenanigans and Denny's but Kensington is fairly 'dry'. El Catrin Taco's, Sawasde (Thai), Sake and Korner Pizza are local favorites. Prospect Park is a short walk away, Buzz-o-Rama slot-car racing and pony rides from Kensington Stables harken back to earlier days.